With the 108SD, you get powerful, fuel-efficient engines, multiple PTO options, a chassis engineered for ease of upfit and a weight-optimized design. 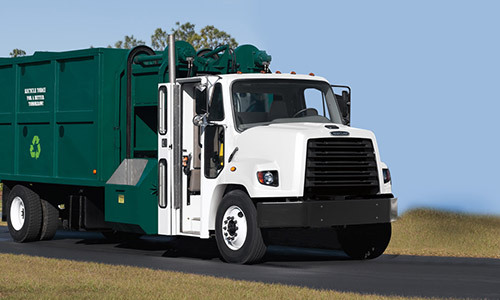 Packed with power and engineered for upfit, the 108SD is easily customized for specific job sites and applications requiring severe-duty power and performance. Up for Anything. Anywhere and Anytime. 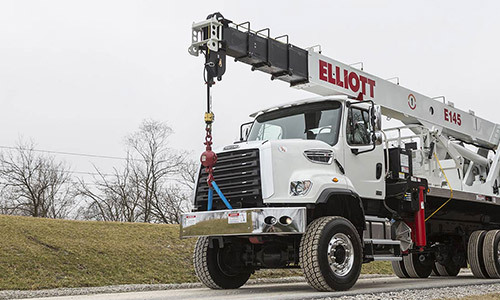 A versatile, heavy-duty truck with the capability to maneuver around tight job sites and narrow streets, the 108SD brings all the power you can use, right where you need it most. The 108SD's front-engine, rear-engine and transmission power take-off options allow packaging flexibility to suit any specific application, while providing consistent power output. 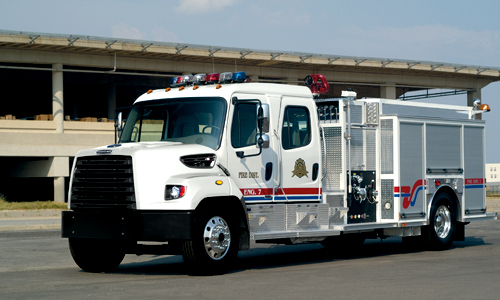 Custom Jobs Require Custom Trucks. 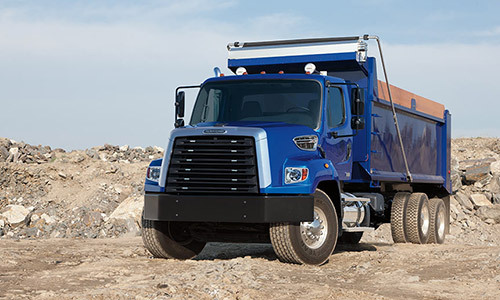 With configurations tailored to your job-specific needs, the 108SD delivers the unbeatable power and reliability that you expect from a severe-duty Freightliner. The SmartPlex® electrical system features pre-engineered interfaces for engine wiring and lighting, eliminating the need for splicing. From top to bottom, the 108SD is engineered for driver safety. Individual components, systems and entire trucks are subjected to an array of virtual and physical tests to ensure our trucks deliver the functionality, performance and reliability you expect. Safety and comfort features on the 108SD are designed to work together resulting in a safer, more comfortable truck you can count on. Real safety demands a focus on details. With low step-in heights and slip-resistant, dual steps, cab entry and egress is made easier. Wide, 62-degree door openings and grab handles also make a difference. Made from corrosion-resistant aluminum, reinforced with e-coated steel and assembled to precise manufacturing tolerances with Henrob rivets and welded construction, our cabs are both lightweight and tough. The best trucks are engineered with an eye on how they're used, day in and day out, so every part must be built to handle the toughest of jobs. The versatile 108SD chassis is made from high-quality materials and manufactured with cutting-edge and precise robotics to create reliable, world-class trucks. With over 400 dealership locations, more than 190 Elite Support℠ Certified dealers and a 24/7, toll-free hotline, no matter where you are in North America, Freightliner is there to help you maximize your uptime. If a truck isn't working, it's not making you money. That's why uptime has always been a priority at Freightliner. From design and engineering to quality control and assembly, the durability of the 108SD will keep you running strong. Downtime is not an option. 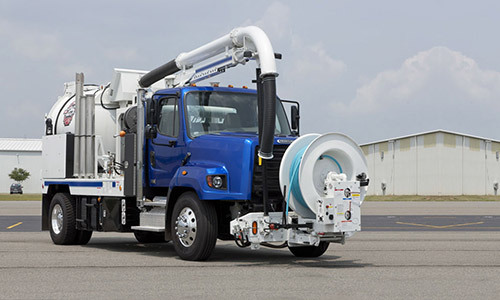 That's why the 108SD is designed to perform across a wide range of heavy-duty applications. 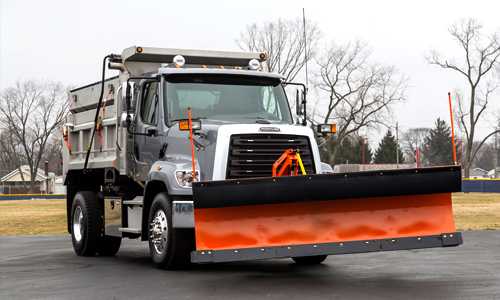 Enhanced serviceability also means less time spent on maintenance, keeping you and your trucks on the job. Recognizing the crucial factors that contribute to your RCO is essential to growing your bottom line. Download our quick-reference guide to RCO, and read all about how lowering it can benefit you. 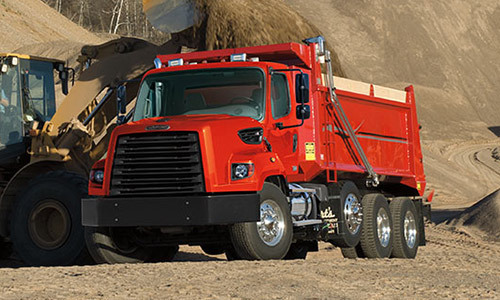 Whether you’re looking for a truck lease or a loan, Daimler Truck Financial pairs the best vehicles with the best financing by offering heavy-duty and commercial truck financing packages to maximize your investment. DTF delivers flexible and customized financing solutions for owner-operators, as well as vocational and fleet customers.